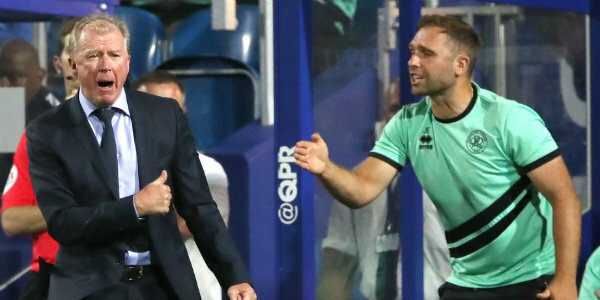 QPR have improved since a dismal start under Steve McClaren. Geoff Cameron’s goal earned QPR a deserved point at Loftus Road. Cameron equalised three minutes into the second half, cancelling out Jack Marriott’s opener. ​After keeper Scott Carson had clawed away Luke Freeman’s free-kick, Nahki Wells pounced on the loose ball and pulled it back for Cameron, who fired home from 10 yards out. Marriott’s goal against the run of play had put Derby ahead before Wells hit the bar in a lively first half. 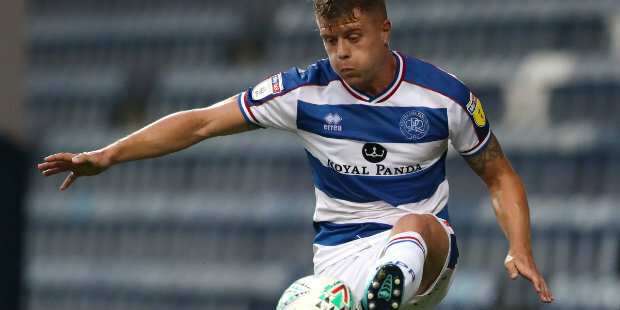 QPR were the better side until a defensive aberration on 24 minutes enabled striker Marriott to mark his first league start for Derby with his first league goal for the club. After Toni Leistner misjudged Bradley Johnson’s punt forward and allowed the ball to bounce, Joel Lynch was caught off-balance and Marriott got in front of Jake Bidwell to ​volley​ past keeper Joe Lumley. Rangers had started well and, after Massimo Luongo sent an early effort high and wide, Wells’ cross was headed wide at the far post by Bidwell. Bidwell went off injured in the first half. ​Then Wells, again leading QPR’s attack, with fellow loan signing Tomer Hemed on the bench, had a header from Jordan Cousins’ right-wing cross saved by Carson. And Luongo steered a low shot wide of Carson’s right-hand post after collecting Ebere Eze’s pass near the edge of the penalty area. But Derby began to get a foothold in the game and went ahead soon after Lumley had pushed over a powerful free-kick from Tom Lawrence. Rangers lost Bidwell shortly after Marriott’s goal to what appeared to be a shoulder injury, but they responded strongly and almost levelled when Wells’ right-footed strike from near the left-hand edge of the penalty area thumped against the woodwork. Eze and Freeman fired wide as QPR continued to push for an equaliser before the interval. It arrived soon after the restart courtesy of Cameron’s first goal since arriving at QPR on loan from Stoke – and only the American’s third goal in English football. Rangers substitute Pawel Wszolek shot wide and Leistner over as the ho​sts​ went in search of a winner, and Wells headed wide from Freeman’s cross. On-loan Chelsea youngster Mason Mount, who has scored five goals for Derby so far and was called up by England this week, was kept relatively quiet as QPR were quick to close down in midfield. Frank Lampard’s ​side​ remained a threat, however, and Harry Wilson’s swerving shot brought a save from Lumley. QPR: Lumley, Rangel, Leistner, Lynch, Bidwell (Wszolek 30), Cousins (Hemed 68), Eze (Smith 90), Cameron, Luongo, Freeman, Wells. Subs not used: Ingram, Scowen, Baptiste, Osayi-Samuel.